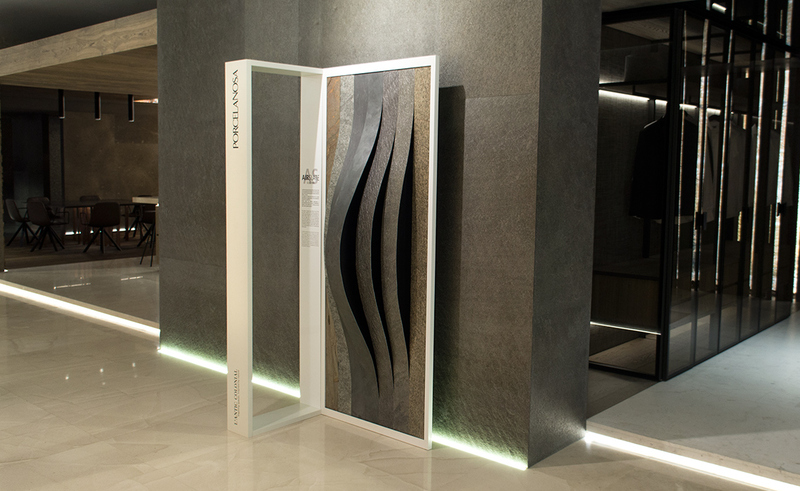 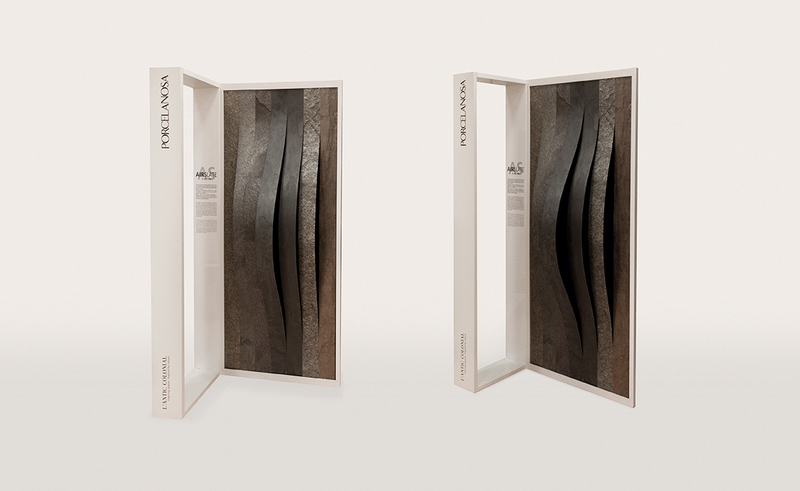 We made the display case for one of the Porcelanosa’s most singular products. 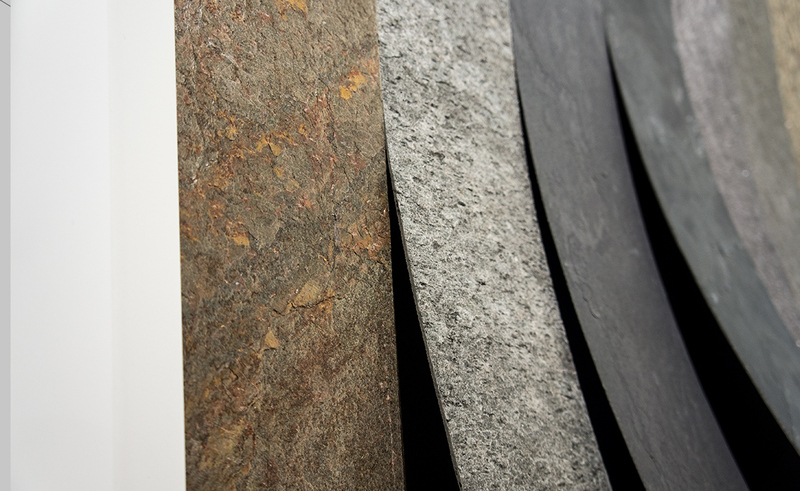 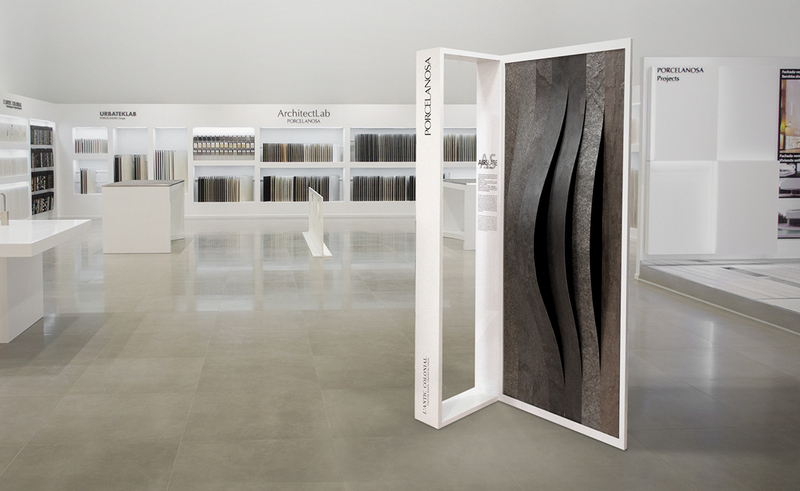 The Air Slate catalogue features natural stones that can be bent, as they are made from thin sheets. 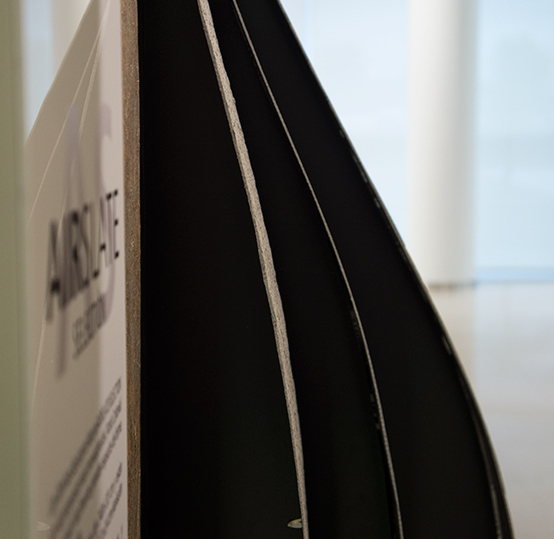 We came up with a system of curved strips which are used to show all of the collection’s finishes..